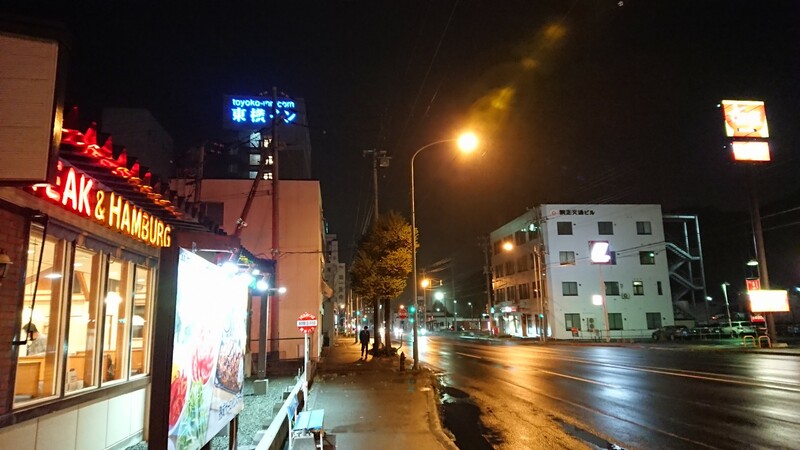 Here I am, alone in Abashiri again, having dinner at Victoria Station, nowhere near Victoria but opposite the station. Drove back from Kawayu Onsen leaving the others at the ryokan so I could return the car. Wet and windy from the aftermath of the typhoon.